Perhaps you didn't know there is an on line "portal" where anyone can report transgender violence-anywhere in the world. The name of it, is just about that: The Transgender Violence Tracking Portal. The Transgender Violence Tracking Portal is proud to announce Kristin Beck as our new National Spokeswoman. 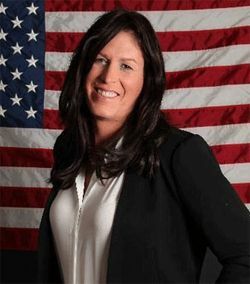 Ms. Beck is an activist, author, and retired Navy SEAL who has embraced a journey towards her true self as portrayed in a CNN Films documentary called "Lady Valor: The Kristin Beck Story." A book by the same name will be released this fall which details her true journey.